So, what are you searching with? Bing? Google? 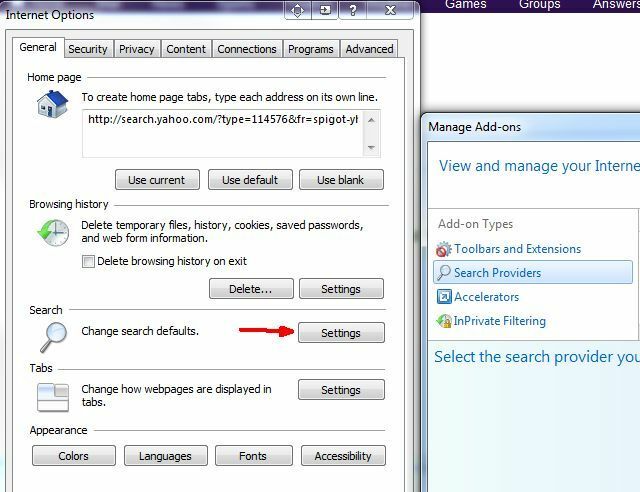 You might know how to use any search engine you want on the Internet, but do you know how to change the default search engine for your browser? Nearly all browsers these days incorporate a search feature, and that feature is backed by a search engine. Usually this defaults to Bing or Google, and for most people, that’s exactly the way they want it. However, there are other cases where you might want to use an alternative search engine. Or you might have noticed that some odd search engine is being used that you don’t recognize – a symptom of your browser getting hijacked by some form of malware. Here’s the thing – you actually have full control over which search engine your browser uses by default for Internet searches. The process for changing it is slightly different depending on the browser, but the result is the same – using your browsers search field will use the custom browser that you want. 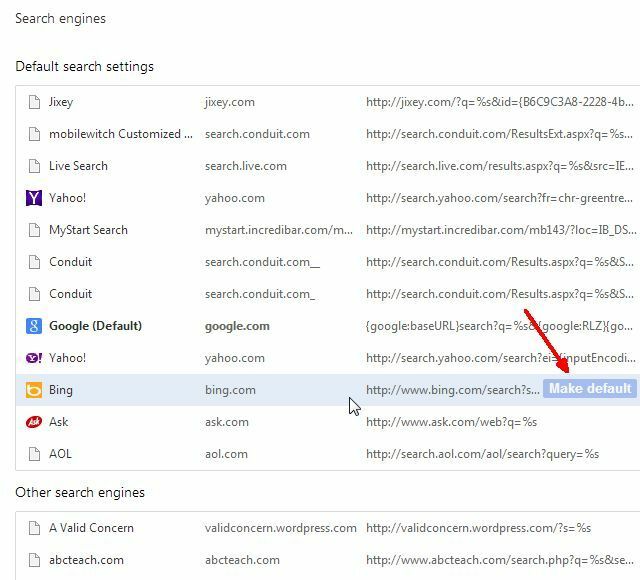 If your browser has been hijacked, or you’re looking to start making use of some alternative, more secure search engine, then it’s time to learn how to tweak your the default search engine for your preferred browser. In this article, I’ll cover how to do this in Chrome, Firefox and Internet Explorer – so let’s get started in Chrome. 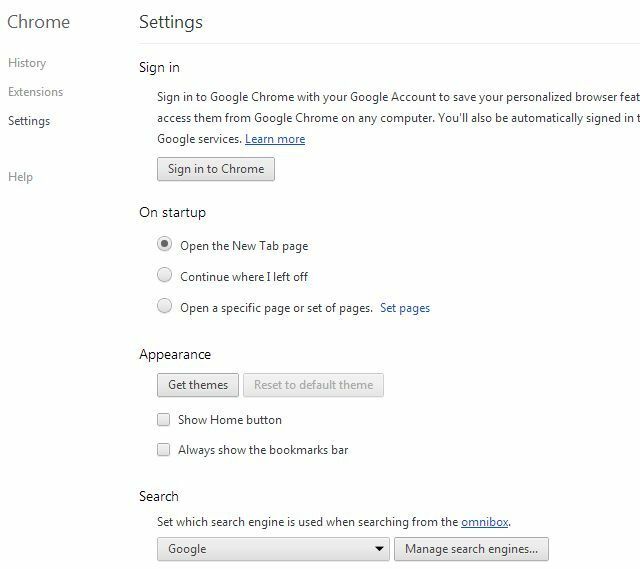 In Chrome, you’ll find the search engine configuration by going into the browser settings, and clicking on the “Manage Search Engines” button under the “Search” section. This will show you a list of search engines, depending on what you’ve used or added in the past (or what was added in there without your knowledge by malware or adware). When you hover over any of the search engines inside the “Default search settings” panel, you’ll see a “Make default” button show up. All you have to do is hover over the search engine that you want and click on “Make default”, and you’re good to go. That search engine will be the one that’s always used when you use Chrome’s web search feature. By the way, if the browser that you want to make your default isn’t in the list, all you have to do is scroll down to the bottom of the list, and type the browser details into the fields. Those details include the name of the search engine (call it whatever you want), the website name, and the URL link to the search engine. Make sure you place %s in place of where your search query will usually go in the URL. Firefox is probably the easiest browser of all when it comes to changing your default search engine. In the search engine search field, just click on the down arrow next to the search engine icon, and you’ll see a list of all of your currently available search engines. To change the default, just click on any item from the list. That will be the one that’s used for all future searches. If you close the browser and re-open it, that new setting remains unchanged. If you don’t see the browser there that you want, just click on “Manage Search Engines” at the bottom of the list. 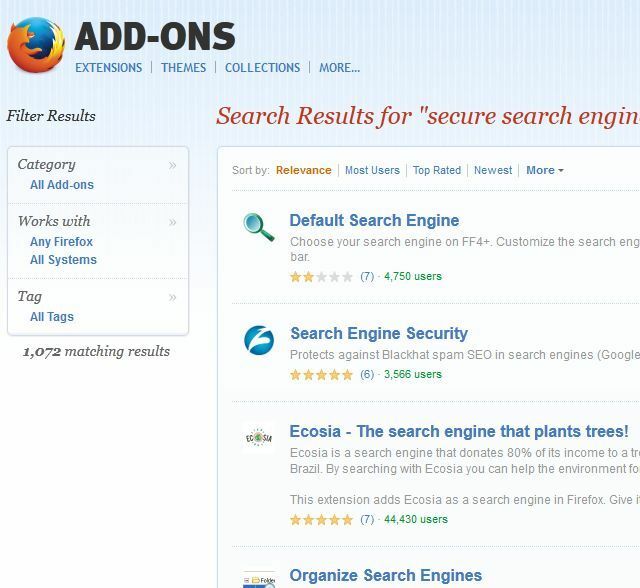 This will open a window listing all current search engines, and at the bottom of the window you’ll see “Get more search engines…” Click on that link, and it’ll bring you to the Mozilla Firefox add-ons website, defaulted to a “search tools” search. 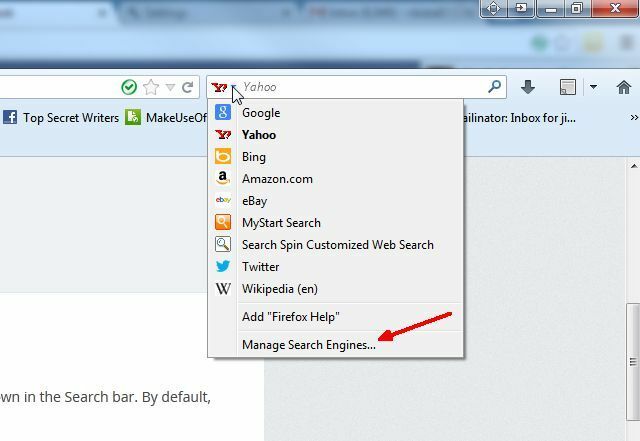 Scroll down, find the search engine that you want to add to your list, and click “Add to Firefox.” Now you’ll see it on the dropdown list of search engines in Firefox, and you’ll be able to set the new one as your default browser. 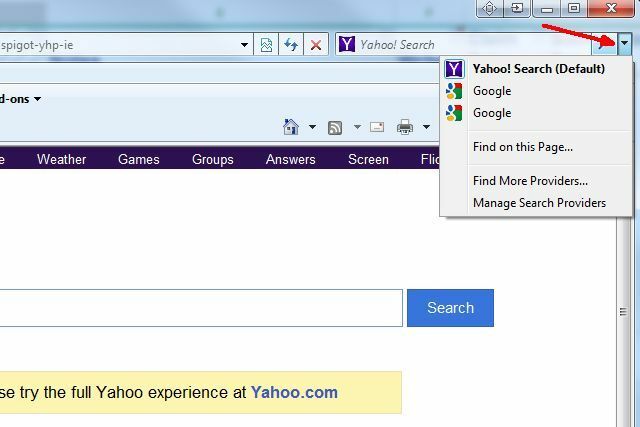 Internet Explorer has a search field that looks almost identical to the one in Firefox. The dropdown for the search engine list in this case isn’t next to the search engine icon, but instead it’s to the right side of the field. This will show you a list of currently available search engines that you can set as your new default. Unfortunately, you can’t just click on the new browser and make it the default. There are a few extra clicks. Click on “Manage Search Providers” first. This will show you the “Manage Add-ons” window (I know, don’t ask….it’s Microsoft after all), and when you click on “Search Providers”, you’ll see a list of your currently available search engines. In the “Status” field, you should see which search engine is currently set as your default. If you want to change the default search engine, just highlight the new search engine and click on the “Set as default” button. That’ll do it. A nice little feature in IE is that you can select the checkbox next to “Prevent programs from suggesting changes to my default search provider”, which is a nice way to block malware or adware from playing games with your default search settings. 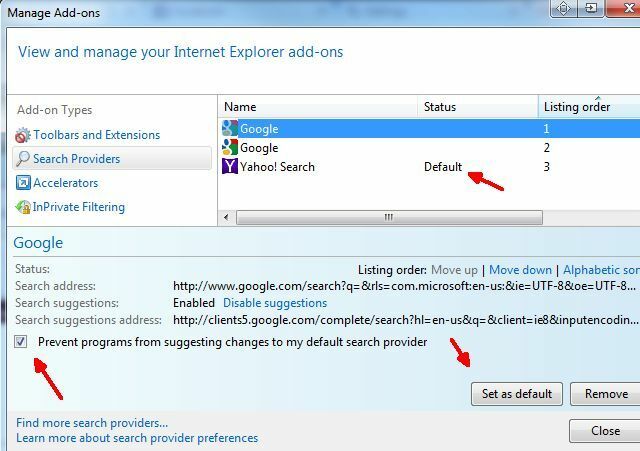 By the way, you don’t have to open up IE to change these settings. You can also get to the same window by going into your computer’s Control Panel, clicking on Internet Options, and then clicking on the “Settings” button under the Search section. As you can see, changing the default search engine isn’t very difficult regardless of the browser that you use. The difficulty comes down to making sure that the default setting doesn’t change. If you frequently download new software, the likelihood of something trying to change this setting becomes even more likely. Keeping your computer clean of malware and adware is an obvious solution, but it’s easier said than done. An alternative, albeit drastic solution is to opt out of using those mainstream browsers and instead going with a much more secure browser like DuckDuckGo, a privacy-conscious search engine Danny previously reviewed, which promises to never track you like Google and other major search engines do. It also promises to show a true full listing of search results, not only a small subset of what you’re interested in. The reality is, if you’re looking for protection from the NSA, the effectiveness of something like DuckDuckGo as a safe haven from government surveillance is debatable. However, the overall increased security and protection provided by such search engines is unquestionably a tremendous benefit. 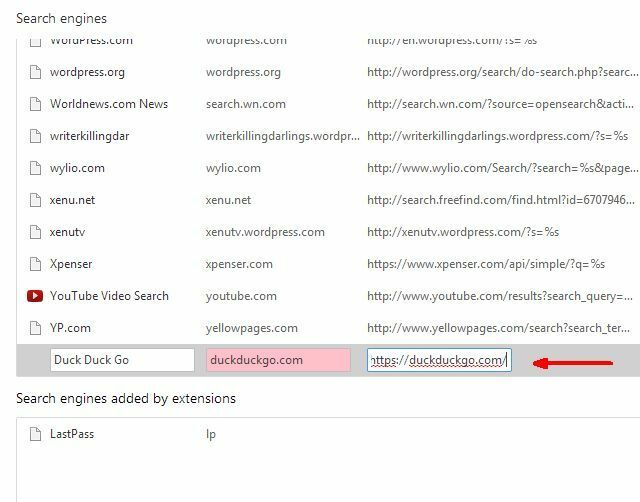 So secure search engines like DuckDuckGo are definitely a good alternative for your browser’s default search engine. Have you ever had your browser search engine hijacked and struggled to find where to change it back? Do you use an alternative search engine in your browser? Share your experiences and your feedback in the comments section below!